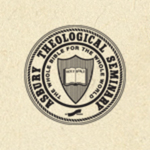 "Testimonies" by Asbury Theological Seminary. Students. A service of Christian testimonies given by Asbury Theological Seminary International Students on the occasion of the 1973 Asbury Theological Seminary Ministers' Conference.